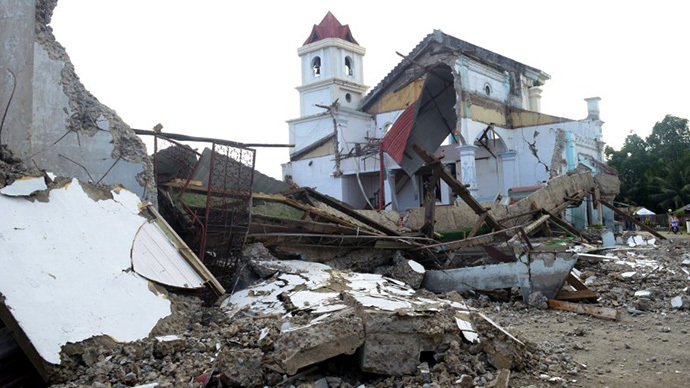 Typhoon Haiyan has inflicted an estimated $15 billion damage to the Philippines. Experts say the strongest recorded cyclone is many times worse for the economy of the Philippines, than Hurricane Sandy was for the US. 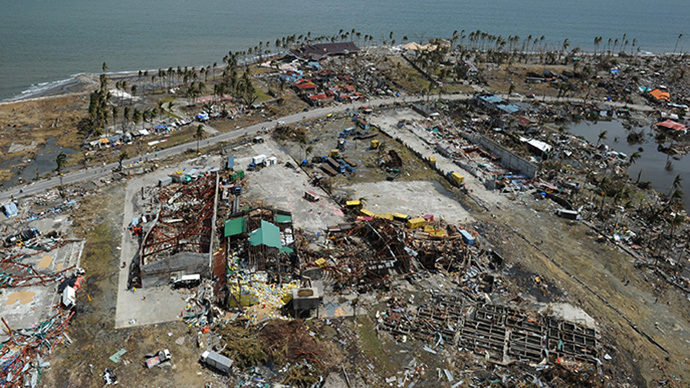 Although the Philippines suffer typhoons and earthquakes every year, Typhoon Haiyan is acknowledged as the world’s strongest and deadliest natural disaster. The Philippines suffers an estimated $1.6 billion in losses each year from the calamities, but this time around the damage is estimated at between $12 billion and $15 billion, Bloomberg reports citing Charles Watson, director of research and development at Kinetic Analysis Corp., a disaster-modelling firm. 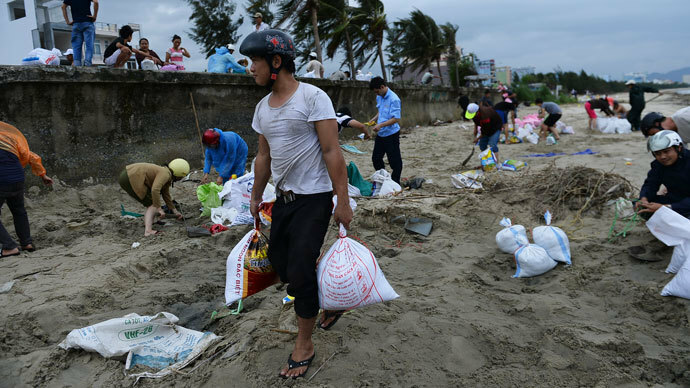 And while the official death toll now stands at 1,774, officials estimate about 10,000 people died and 673,000 were displaced by Friday’s devastating storm. “A $12 billion storm is not really that bad here in the US”, “For the Philippine Islands, it is catastrophic”, Watson said in the report. Total losses estimated at about 5 per cent of gross domestic product, affecting a lion’s share of sugar cane, rice, fishing and agricultural industries. 2012’s Sandy, which flooded New Jersey and New York and became the largest Atlantic hurricane on record, caused less than a 1 percent drop in US output. The 2012 US typhoon killed at least 286 people, causing above $68 billion in losses - a total surpassed only by Hurricane Katrina. 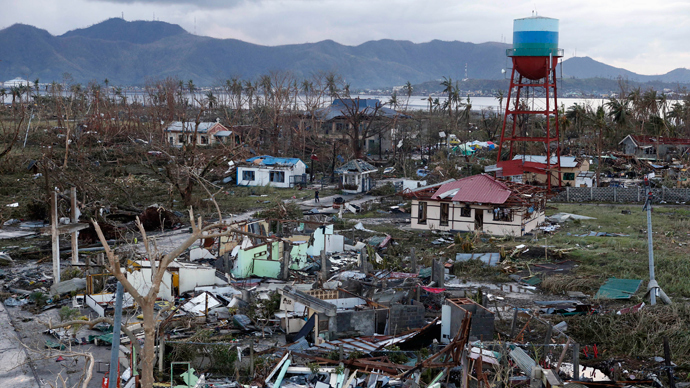 The Philippines had only 10 to 15 per cent of the total losses insured. In contrast approximately half of Sandy’s damage was compensated, according to a report from Munich RE, the world’s largest insurer. Countries from around the world are teaming up to help the devastated country, donating billions in financial aid. Russia has offered to send a rescue team of 200 people to affected areas, and has opened a hotline for people to keep themselves updated with details about the typhoon and to share information about Russians in the Philippines who may have been affected by the disaster. South Korea and Canada will donate $5 million each in immediate aid, with the United Kingdom is offering a support package worth more than £10 million. The European Union offered $4.2 million and Australia $10 million. Germany is transporting 23 tons of aid as well as supplying rescue teams. 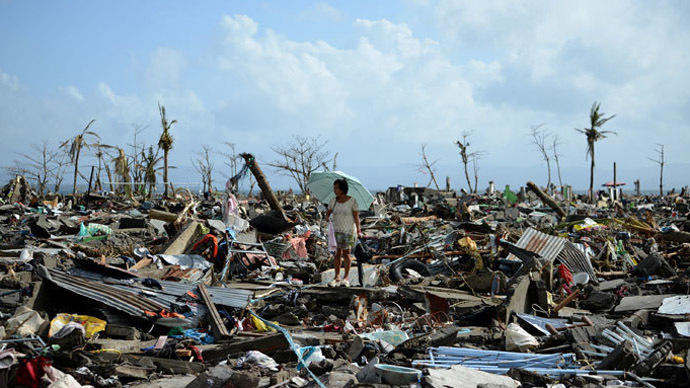 New Zealand, Taiwan, Singapore, the Vatican, China and the United Arab Emirates also said they would contribute to the Philippines relief effort..